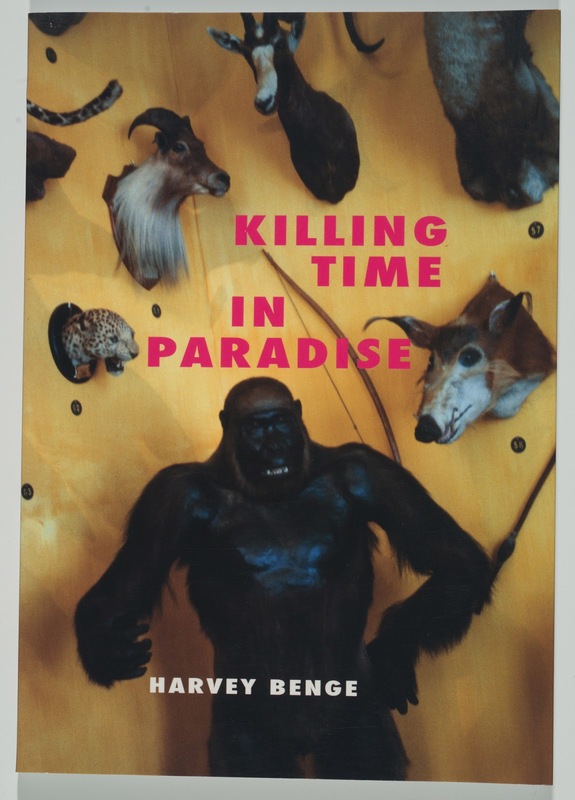 Harvey Benge is a local camera artist with an international reputation for making photo-books in New Zealand. He recently gifted to the Gallery’s E.H. McCormick Research Library his entire photo-book production to date. You can access an alphabetical list of Harvey’s books here and a chronological list here. 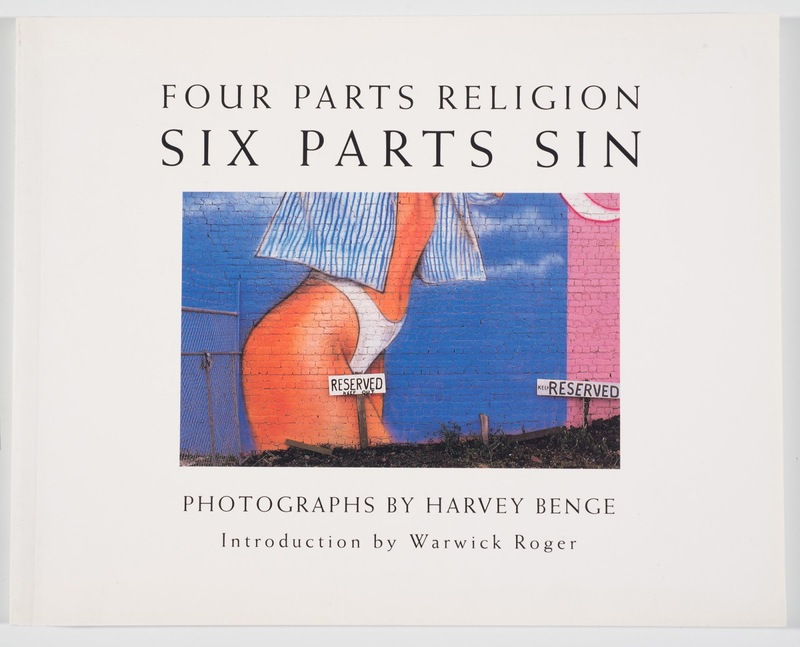 Harvey has generously offered to further gift his photo-books as he publishes them. The Gallery is currently the only museum where his complete photo book oeuvre is publicly available. Harvey Benge's first book was Four Parts Religion Six Parts Sin (1993). That publication ranged over Auckland's urban spaces overlaid as it is with advertising, murals and graffiti. That book sign-posted how Harvey is interested in images that work as urban narratives. Please note that this conversation contains some language that may offend. One of the books I admire for its immediate mystery is Aide-memoire (2000). 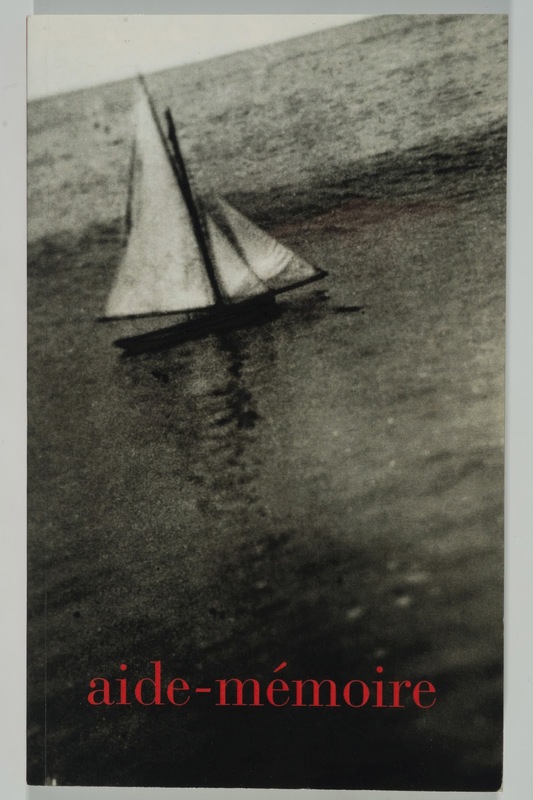 The cover reproduces a snapshot image of a boat that Harvey found during his frequent travels. In speaking about such snapshot and vernacular images, Harvey noted that he has never been interested in any affirmation of nationalist imagery. Harvey Benge’s blog is read extensively. It probably receives more hits than any other locally produced blog dedicated to issues within photography. The blog is not really about Harvey's own artwork but serves a portal for introducing the art of others and for networking issues central to photography. One of his most recent books is Any Lonely Person Write to Ponsonby. 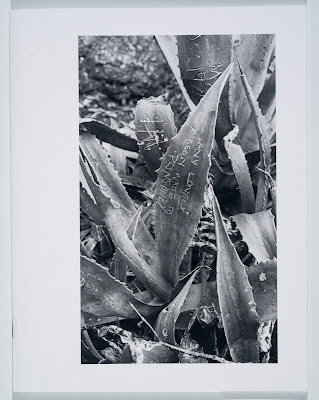 The book's title is carved into the succulent on the cover. The photograph was made many years ago and was rediscovered by the artist when he reviewed his early images. 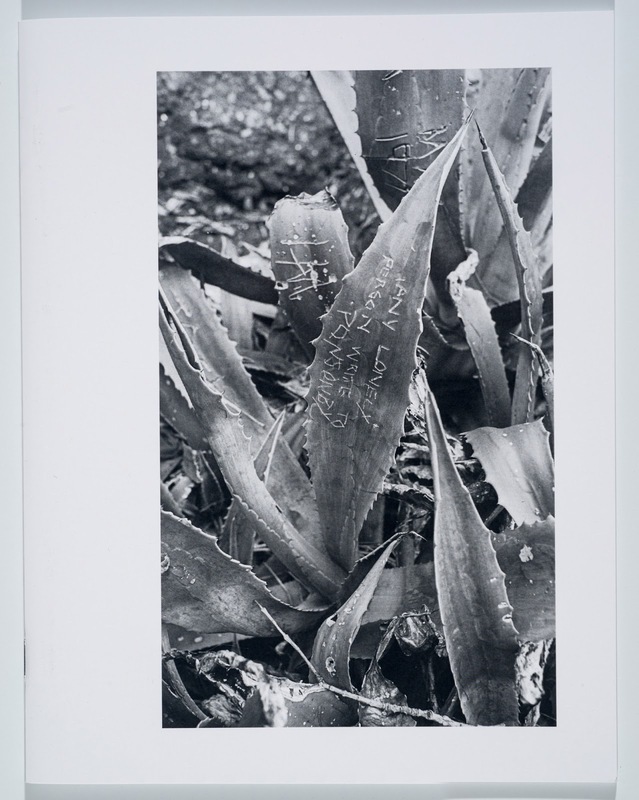 A display of Harvey Benge's photo-books is currently on display in the E.H. McCormick Research Library's display cabinet on the Gallery's mezzanine level.